The older we get, the more likely we are to develop many diseases, including cancer. However, with early detection and suitable treatment, it is possible to prolong lives with a good quality of living. The story of patient T.T.N.H.’s treatment for endometrial cancer at FV Hospital is a perfect example. While living in tranquil Da Lat city, 60-year-old Mrs T.T.N.H suddenly experienced unusual symptoms in her body. First she noticed a white vaginal discharge, before blood began to appear in the discharge. Feeling unsettled, Mrs H came to a hospital in Ho Chi Minh City for a biopsy and was diagnosed with endometrial cancer. Holding the test result, thinking of her only son, she broke down in tears. Fortunately, her son was always beside her to offer comfort and encouragement, and to help her seek the proper treatment. After doing some research, Mrs T.T.N.H chose FV Hospital for her cancer treatment. She received a general examination and underwent the necessary tests, which showed that more than half of her endometrium was cancerous, and the tumour had reached stage two. The cancer cells would spread to other parts of her body if they were not treated promptly. At FV Hospital, the doctors took the time to explain my condition and carefully advised me on each step of the treatment. Thanks to their clear communication, I went from feeling anxious and unknowledgeable, to hopeful and trusting. Specifically, the doctors advised that her best option was a surgical removal of the entire uterus, oviduct, ovary and pelvic lymph nodes via endoscopic surgery. Compared to conventional open abdominal surgery, this surgical technique is minimally invasive with less scarring, and has shorter hospitalisation and quicker recovery periods. 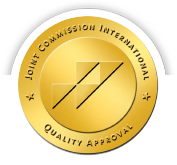 This advanced method is only available in a few treatment centres throughout the country as it can only be performed within advanced facilities by highly skilled doctors. 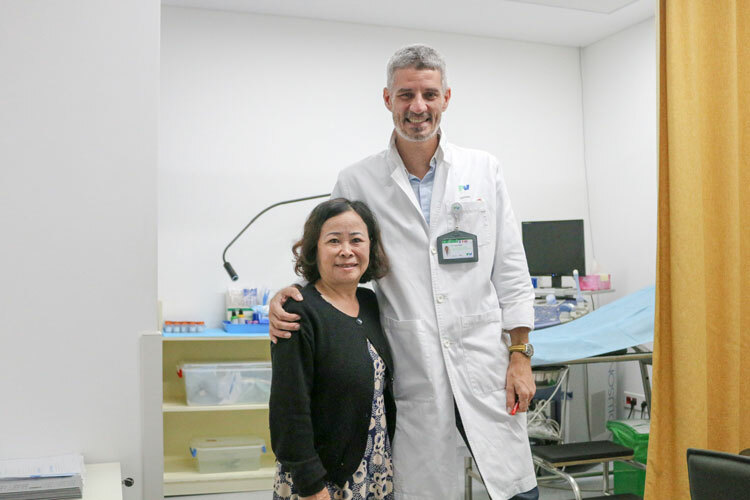 Dr Yann Drean, Head of Obstetrics and Gynaecology at FV Hospital, led the surgery, supported by deputy head of department Dr Nguyen Thi Vinh Thanh and a full surgical team. Within three hours, the tumour had been successfully removed from Mrs T.T.N.H.’s body. All postoperative specimens were examined to determine the extent of cancerous metastasis so that the physician would know whether she needed radiotherapy or chemotherapy. Three weeks later, she returned to FV Hospital and received the good news: her test results showed that the cancer cells had no signs of metastasis and she did not need radiotherapy or chemotherapy. The operation was successful due to the convergence of several factors: early diagnosis, the expertise of a team of physicians with specialist knowledge and experience in the treatment of tumours, and the modern equipment available at FV Hospital. Women tend to endure everything, which is very dangerous. Doctors always advise us to have regular check-ups. The earlier cancer is detected, the higher the chance that it can be successfully treated. In order to protect your health and prevent endometrial cancer in particular, women should pay close attention to the symptoms that can occur around menopause, such as fluid drainage or abnormal vaginal discharge, polycystic ovary syndrome, etc. This disease has a high mortality rate as it is usually diagnosed late, but it can be treated if detected early.